Organisers of the National Road Safety Conference have unveiled a number of new features and enhancements ahead of the 2019 edition. Delegate registration for Road Safety GB’s flagship event, which this year takes place at The International Centre in Telford (12-13 November), is now open – with an attractive early bird rate of £275 for Road Safety GB and Academy members. 2019 will be the 11th running of the National Conference – which was held at The Grand, Brighton, in 2018 – attracting a record 330 delegates. 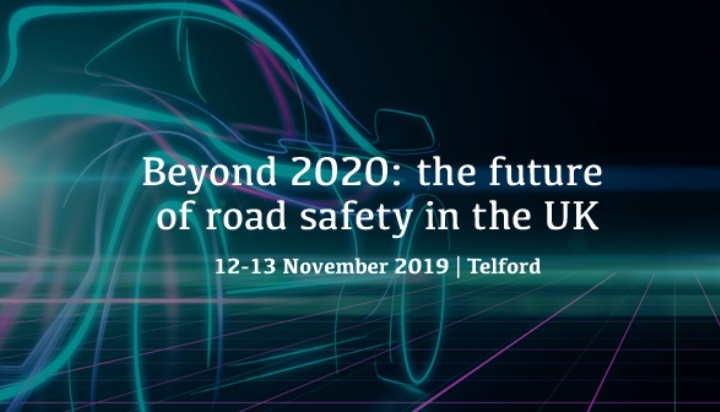 The 2019 conference – which has the theme ‘Beyond 2020: the future of road safety in the UK’ and is being jointly hosted by Road Safety GB and Mercia Regions – will follow a similar format to previous years, with both a main and fringe programme running concurrently. Popular elements of the conference programme, including Speed Dating, the Big Debate and Question Time, have been retained – alongside several new additions. As an example, the final afternoon will comprise a series of small workshops (previously known as ‘pick my brains’), and an informal chat show style session in the main conference hall, featuring ‘well-known’ guests from the road safety sector. The programme will also include a session on behaviour change and the use of behaviour change techniques in road safety interventions, and another covering a range of ‘grassroots’ road safety issues. Due to the flexibility provided by the venue, exhibitors are being offered the opportunity to purchase a larger space than in previous years. There will also be a seating area to make it easier and more enjoyable for delegates to take lunch and other refreshments within the exhibition area. At the end of day one (12 Nov) there will be a short complimentary drinks reception for delegates to be held in the exhibition area. This will provide an extra hour of networking before delegates depart and prepare for the conference dinner. Delegate registration is now open, including an early bird residential rate of £275 (plus VAT) for the first 50 Road Safety GB/Academy members. For other delegates the residential rate – which includes all conference sessions, refreshments throughout the two days, overnight accommodation and the conference dinner – is £445 (plus VAT), while day delegate places are available for both or either day.